Many Billy Casper Golf courses go out of their way on Independence Day to make July 4 as special for their guests as the holiday deserves. We'll be sharing photos and videos sent into the Billy Casper Digital Network by our courses of how they're celebrating the U.S. of A's 238th birthday. California G.C. 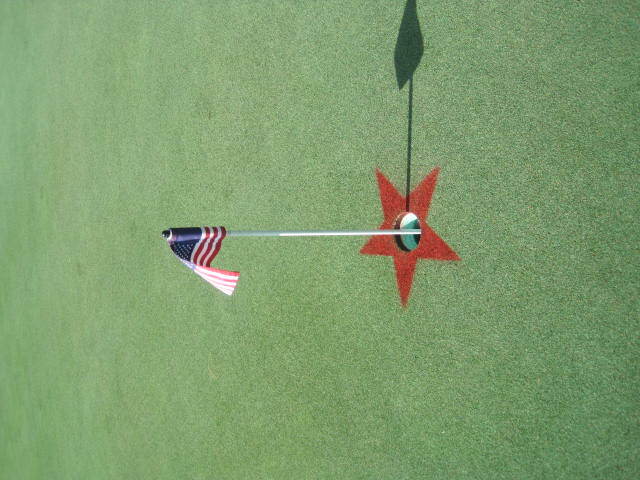 in Cincinnati goes all-in for Independence Day, painting the cups, tee markers and more with the colors of the American flag. They shared some pictures on Twitter. Hilltop Golf Course hosts one of the biggest fireworks shows in the state of Michigan, watched by thousands around the area. They shared video and photos of the night. Eastpointe Country Club marked the holiday with a star-studded celebration...on its greens. Take a look at how the hole placements were marked in Florida!